More than 2.5 billion people on Earth use social networks every day and post a variety of content. However, only a small percentage of them are able to monetize it with annoying advertising. To solve this problem, the Monoreto team offers a platform that helps all users earn from using it. Every like will bring the creator of the photo or video liked at least 5 cents in Monoreto tokens. This idea is very simple. Yet, many people still don't believe that such platforms have viable models. That is because they don't understand why they should give money with likes. Led by exemplary advisory team. "Each like costs at least 5 cents in tokens. 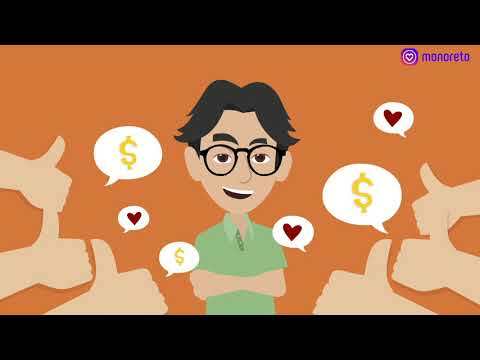 By giving likes you promote your account in the newsfeed (as well as by receiving likes), get a part of the platform's profit and other benefits. Zero transaction costs and all the mechanisms to motivate liking mean a lot of use cases (direct profit without ads, crowdfunding, charity, online quizzes with cash prizes etc)." → Interesting twist to Facebook's model of giving likes for free. Excited to see how this project will take off. Team is solid and good one but vision is not unique and it can cause a feeling that these likes and shares are not natural, not organic and making the results not realistic. Another point is that I don't see return to investors with the concept. If this is primarily based on the token price, then it is required a strategy on how to engage users to interact on this social network. It is not easy while Facebook and other networks are dominating the market. I talked to the team. I liked the idea of monetizing photo content. I will be interested to see how the project will develop taking into account the maintenance of the token price, as this is one of the important factors of the project's success. Good team and experienced advisory board. The idea is not new ... have mvp which is under development ... Best of luck team . Crowded space! It's going to come down to execution, user adoption. I'm looking forward to seeing the MVP. The advisor board is strong and will help guide this project in the right direction. The idea is not unique, but interesting. Let's see what will come out of it. First of all the biggest red flag for me was looking at the white paper and seeing the Co-Founder / CEO have a selfie picture. That kind of made me cringe and wonder why I would invest in such unprofessional project. I think the CEO / Co-Founder should take the project a bit more seriously and put in a professional photo. Secondly building a Social Network is hard. The Vision seems decent. Yeah all in paper the idea sounds great but it's a hard road ahead of them. Execution is going to be hard. Getting the traction is going t be hard. I have built many apps on top of Social Networks so have some what of a decent experience from building Facebook games in early days with over couple million users to building Instagram related apps and having over 20 million users using my apps. It's not going to be easy. The whitepaper even lacks about the Technical info. What if they were to hit 10 million users can their technology even handle it? Lots of Missing info on Whitepaper. The CEO's linkedin doesn't work. The team doesn't really have any experience in this space. Half the profiles look fake actually. Plus what does this do Steemit doesn't individually? Coming from media, micropayments have been tried across traditional players and failed multiple times. This is not the answer. I like its realistic hard cap though.